Rogue One: A Star Wars Story is the first standalone movie from the franchise, and as such endeavours to be, well, standalone; despite having a very well-known ending, it’s telling a new story mostly concerned with never-before-seen characters. However, with the film being set in the days leading up to the original trilogy, there’s ample opportunity for director Gareth Edwards to indulge his Star Wars fanboy side. The film is chock-a-block with easter eggs and references to the classic film, along with an awful lot of well-known Star Wars characters and other recognizable faces (more than anybody really expected). There’s so many in there, however, that it’s impossible to pick up on it all in one go. Here’s the fifteen cameos you most probably missed. This list is concerned with exciting cameos from known actors or previous Star Wars characters that may fly under the radar. This means that there’s several noteworthy returning parts for iconic characters that are either too big to call a cameo – Tarkin and Mon Mothma – or too obvious – R2-D2, C-3PO, and Leia – which won’t feature (although it should be said that each and every one of those was awesome). There was always hope for some of the pilots seen in Rogue One to be versions of the characters we saw taking on the Death Star in the original movie – the squadron’s next set of insurmountable odds comes just a few days after the “first victory”. What was very unexpected, however, was that some of the actors involved in the original movie actually returned to play their roles. 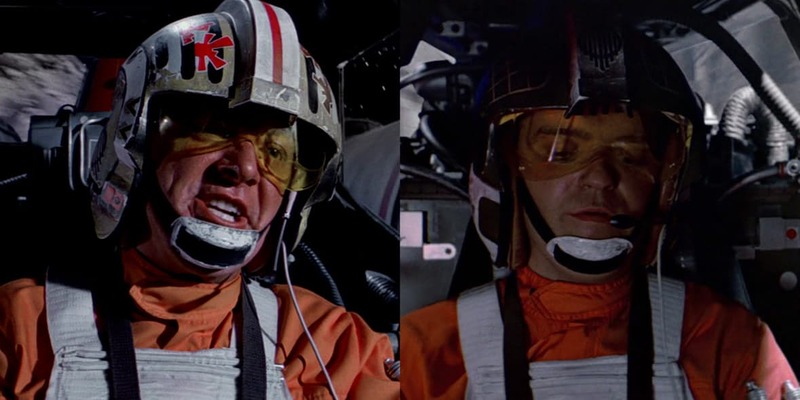 Both Red Leader (X-Wings) and Gold Leader (Y-Wings) were brought to life using the same CGI tricks used with Leia and Tarkin, but according to the movie’s credits the production also used the voice of Drewe Henley (who died earlier in 2016) and Angus MacInnes for their parts respectively. It’s unclear how big their involvement was, but it’ll likely become clearer when ILM elaborates on the whole trick. This isn’t the first time Henley’s been inserted into a Star Wars movie after the fact. The scene of him talking with Luke and Biggs before the Death Star assault originally found itself on the cutting room floor, but was spliced back into the film for the Special Edition (with an erroneous fond memory of Luke’s father edited out). 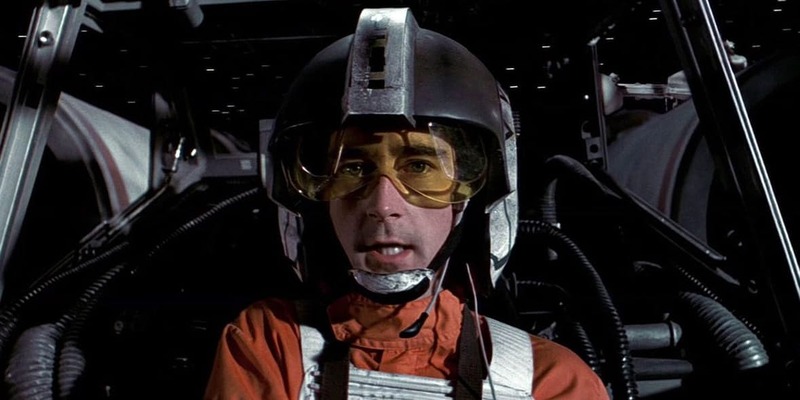 Hold onto your hats, because Red and Gold Leader are just the tip of the return pilot Hothberg; according to reports on returning actors used by the film’s sound mixers, David Ankrum also reprised his role from the original film. If that name’s unfamiliar, here’s a bit of backstory. Although Dennis Lawson played Wedge in all three original films, he didn’t provide the voice in the first as he hadn’t perfected an American accent in time. This led to Ankrum being brought in to provide voice-over (there’s also the “Fake Wedge” in the briefing room, but that’s the story for another time). 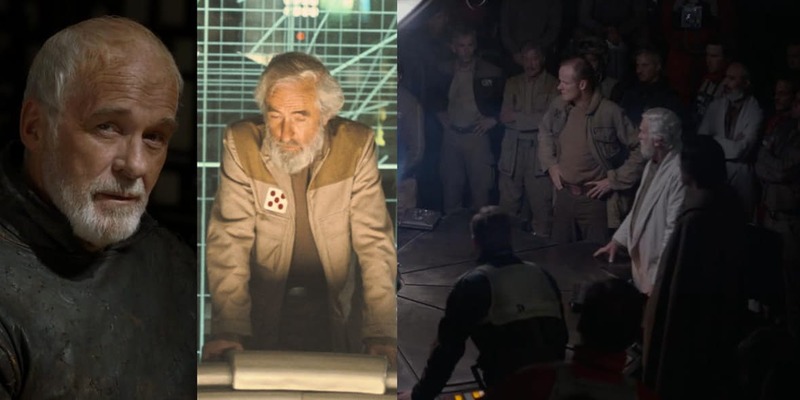 Unlike Henley and MacInnes, Ankrum isn’t credited on IMDb for his voice, but there’s still reports he returned as “Rogue Two” aka Wedge in the film. This means that, even though Lawson didn’t opt to return for The Force Awakens, his character still lives on in new Star Wars. There aren’t that many massively unanswered questions surrounding the original Star Wars (and where there are fans have come up with perfectly satisfying solutions to in the decades since release), but the few left dangling Rogue One happily tackles. The biggest is Galen’s tinkering with the Death Star’s reactor, but another is how Luke got to become a Rebel pilot in the first place. Yes, the Rebellion were undermanned and happy to take any remotely competent pilot, but how did they just have a callsign for him to take up? 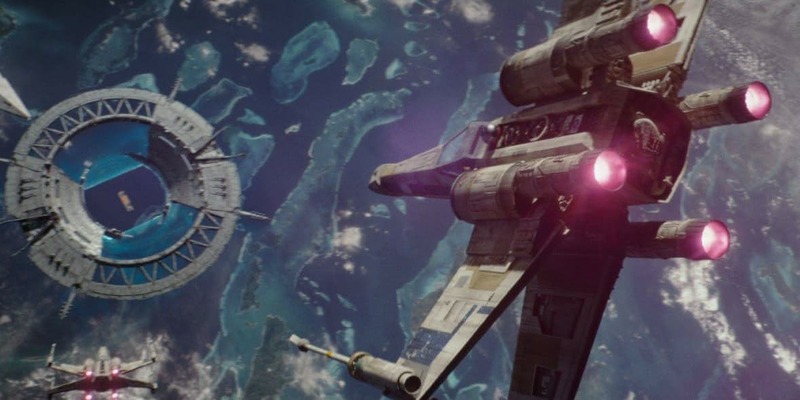 Rogue One answers that by showing the original Red 5 tragically shot down during the Battle of Scarif (although that doesn’t explain where the spare X-Wing came from). While seeing the original Red 5 was cool, it is a shame that some of the other famous members of Red Squadron – Porkins or Biggs in particular – didn’t make an appearance (especially the latter – he could do with some positive, heroic press). The next few aren’t characters per se, but they are cool returning elements that link Rogue One, a film very much in an original trilogy mindset, to the prequels. 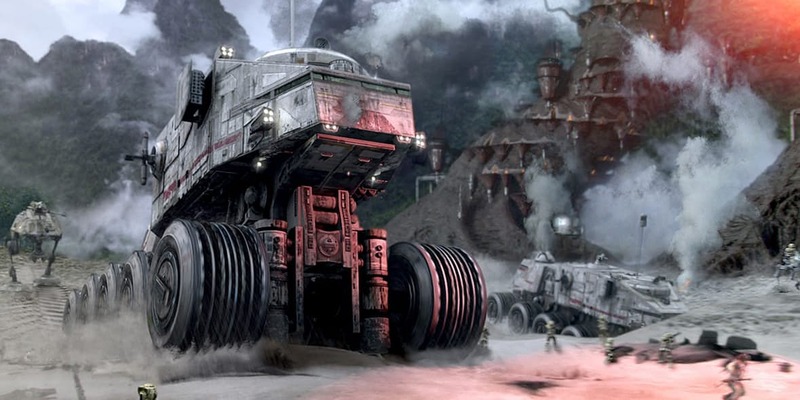 When we first reunite with an adult Jyn, she’s being taken to a labour camp on the planet Wobani (which, for some reason, is an anagram of Obi-Wan) in a very familiar-looking transport; it’s an Imperial version of the Republic Juggernaut, a massive tank used during the Clone Wars and seen in Revenge of the Sith on Kashyyyk. It’s a brief moment for a vehicle seen just as briefly in the prequels, but shows some technological overlap – it’s not clear if the tank in Rogue One is a HAVw A6 (the classification of the RotS one) or just a similar construction – and also charts technological development; it’s gone from the fro`nt-lines to prisoner transport, possibly made obsolete by leg-based walkers (even if that doesn’t make the most lateral sense). Beyond the Juggernaut, a couple of prequel planets also made their appearance in Rogue One. The Force Awakens made a concerted effort to keep away from those films (even introducing a total different as the Republic capital), but the approach in Edwards’ film suggests things will be more balanced going forward. 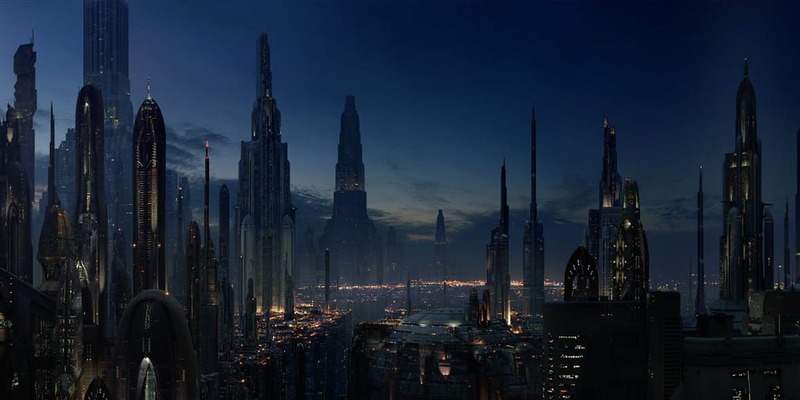 The first is an appearance of the original planet-wide metropolis, Coruscant, whose towering skyscrapers and constant streams of flying traffic can be seen in Jyn’s dream flashback to her family meeting with Krennic. In terms of timeline, this would appear to come just after the fall of the Republic, with Galen proudly (if erroneously so) wearing an Imperial officer uniform. This short sequence, specifically the relationship between Galen and Krennic, is vastly elaborated on in the tie-in novel Catalyst, which shows the pair’s early involvement in the long-gestating Death Star project. The other prequel planet appearance is a bit more loaded. When we’re first introduced to Darth Vader, it’s in his castle on a barren planet covered in lava. This was initially the subject of intense fan speculation; in the Expanded Universe, Vader had a base on acid rain planet Vijun, to which the movie version shared a lot of similarities (it also bore some resemblance to old Ralph McQuarrie concept art). 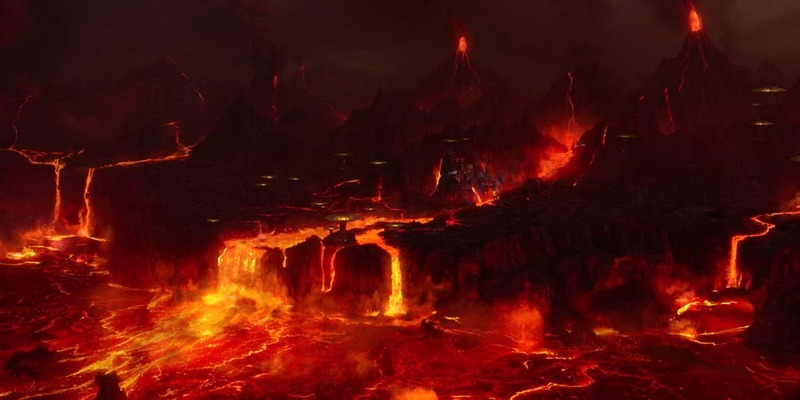 However, while there’s no location card at the planet’s introduction (presumably to keep up the mystery and intrigue of what we’re about to see), Star Wars knowledge bank and all-round theory commenter Pablo Hidalgo has confirmed on Twitter that it’s actually Mustafar, the site of Anakin’s climactic duel with Obi-Wan in Revenge of the Sith. This isn’t just a cool return, but speaks a lot of Vader’s current feelings and mental state – he’s taking his bacta bath on the planet where he passed the point of no return, possibly as a reminder of his past or even out of torture for his dark actions. The film does pause for a couple of seconds on this pair for you to take them in, so they’re being lumped into one entry, but they’re still well worth a mention – especially as the latter is played by none other than Michael Smiley, something only the most-obsessive Ben Wheatley fan would have spotted. Walrus Man and his death sentence-toting buddy are seen amongst the dangerous scum and violent villainy of Jedha, with Ponda bumping into Jyn and almost starting a fight ahead of time. 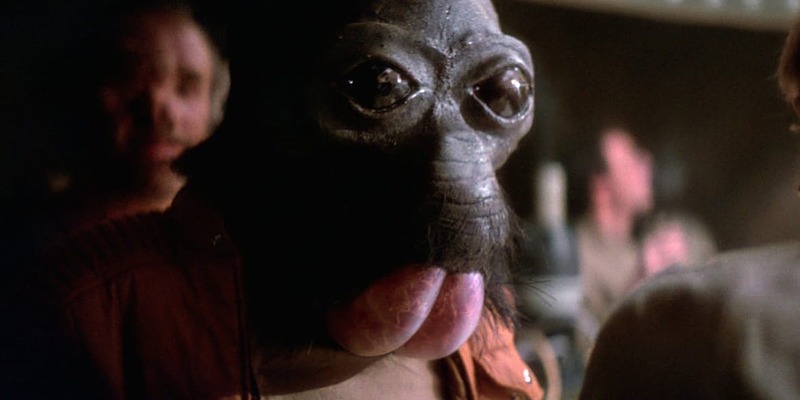 In the short time period between Rogue One and Star Wars the duo will, of course, take the short ride to Tatooine and find themselves in the Mos Eisley Cantina, where Babba will let his anger get the better of him again, and this time he’ll not walk away quite so easily. It’s one of the more unexpected cameos, yet totally logical within the galaxy as presented. Oh, and on the note of Dr Evazan and his alleged “death sentences on twelve systems”, if one of those planets was Jedha then he really should take it off after the Death Star destroyed the city. As it was dealing with the early days of the Rebellion, Rogue One not all that surprisingly featured several scenes with the Alliance’s top brass, many of whom would be familiar to long-term fans. Prominent in the advertising was Mon Mothma, which saw Genevieve O’Reilly reprising her brief role from Revenge of the Sith, while Bail Organa will always be noticeable for being played by Jimmy Smitts (he even got a moment-of-pause entrance), but more likely to fly under the radar is Jan Dodonna. The white-bearded Rebel commander who briefs the pilots on the Death Star plans and presents Luke and Han with their medals in the original film, he was played by Game of Thrones’ Ian McElhinney in Rogue One and seen in several of the group scenes. Although he doesn’t play a major part in the prequel, he’s still a very important military figure; he is one of the few Rebel leaders to still be on Yavin IV by the time the Millennium Falcon arrives. Rogue One isn’t the only current piece of Star Wars set in the pre-A New Hope era; Disney XD’s Rebels is also charting the early days of the Rebellion, seeing the various anti-Empire cells come together into a big Alliance through the eyes of a ragtag gang of Rebels. While, like fellow Disney-owned company Marvel, it doesn’t seem like there’s going to be much in the ways of direct integration of TV into movies, Lucasfilm did provide a few little easter eggs for fans of the show. Most noticeably, the gang’s ship, the Ghost, is seen twice in the film; once outside the Massassi temple as Jyn and Cassian first leave Yavin IV for Jedha, and it was later as one of the Rebel ships in the all-out assault on Scarif. It’s not seen later, but presumably made the hyperspace jump escape with the rest of the fleet. There’s been a lot of speculation amongst fans about whether the Ghost crew will eventually become a key part of the Rebellion, and this cute appearance confirms they will be spending some time with the core group on Yavin. 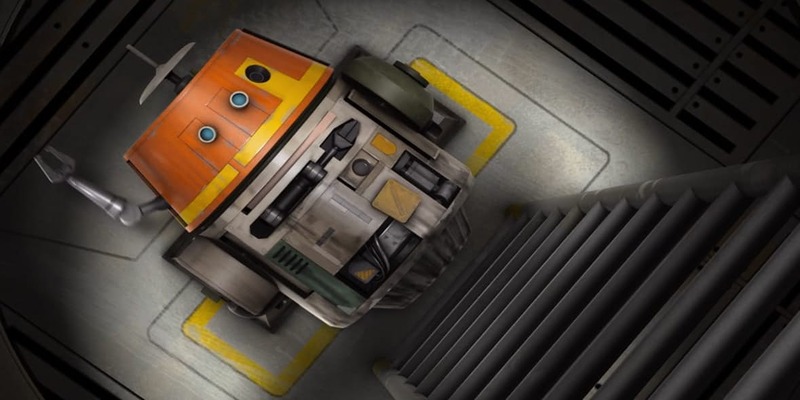 If you thought that Ghost cameo was just a cursory glance to the show and a get around for not actually including the crew themselves, that’s not totally true – although none of the main speaking gang appear in the film, there is a blink-and-you’ll-miss-it appearance from Chopper, their playful, squat astromech droid. He can be seen rolling past Mon Mothma when she’s informed of the newly invented “Rogue One’s” mission to Scarif. He’s the most innocuous character to appear, blending in with other droids on the base, but it’s clearly him, all but confirming Kanen, Ezr, and co. were on Yavin IV at the time. This appearance, coupled with the presence of the Ghost, could be a major clue for where Rebels is heading; having two separate secret cameos would seem to be set up for a later story in the series showing an alternate view of the Battle of Scarif. One of the most striking things about the directors Lucasfilm has chosen to helm its new Star Wars films is how they’re all mega-fans of the franchise. This obviously means that they’re pouring a lot of love into their respective projects, although simply making a Star Wars movie doesn’t scratch the ultimate fan wish of being in a Star Wars movie. As a nice solution, the gaggle of directors have worked their way into each other’s movies, with Rian Johnson’s turn in Rogue One. And what a part: he and producer Ram Bergman play the Death Star laser-room operators, getting to shield their faces from the unprotected kyber crystal blast (and, quite possibly, playing characters who appear in the original trilogy). 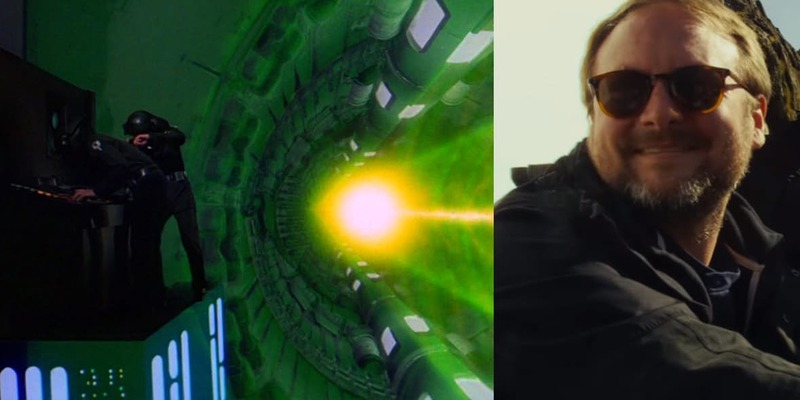 Johnson has repaid the favour by giving Edwards a cameo in his Episode VIII. Of course, like anything involved in that film, who that is is a closely guarded secret. Han Solo directors Phil Lord and Chris Miller were also meant to appear in the film on Jedha, but had to miss the shoot due to the latter looking at schools for his kids ahead of their movie’s shoot. Don’t worry though – there’s plenty movies they can appear in. 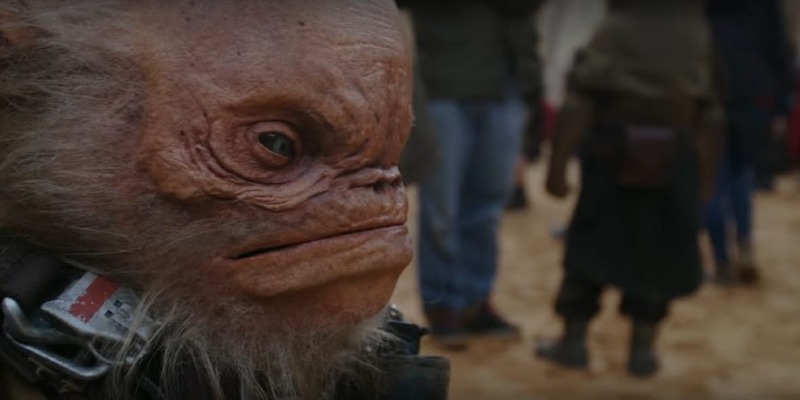 It’s become something of a tradition to have Warwick Davis in a Star Wars movie. He became famous for playing Wicket in Return of the Jedi (a part he only got because R2-D2 actor Kenny Baker was ill on the first day of shooting), which he reprised in both Ewoks TV movies, and then played multiple roles in The Phantom Menace (most notably Wald and Weazel). He returned to the franchise last year as Wollivan, a patron of Maz Kanata’s castle, in The Force Awakens (he took time off to be in Harry Potter), and returns again in Rogue One. Here he’s Weeteef Cyubee, the short alien among Saw Gerrera’s band of Rebels who attack the hovertank in Jedha City, later seen chilling back at his secret base (and running after the Death Star strikes). Davis is, not too surprisingly, going to be back in the galaxy far, far away in Episode VIII next year. It’s not known yet who he’ll play, but you can probably bet their name will begin with a “W”. The name RA-7 may not mean much, but you’ll definitely recognize the bug-eyed protocol droid it describes. Known as Death Star Droids thanks to the Kenner action figure, they’re actually more memorable for being the first droid seen in the Sandcrawler, with only a brief appearance in action on the space station. Perhaps in reference to its duel part in the original film, RA-7 droids appear twice in Rogue One. The first is on Jedha walking past Jyn and Cassian, where it makes the same garbled talking from the Sandcrawler, then one is seen later on Scarif during the Canary Wharf section. Oddly enough, none were actually on the Death Star proper. 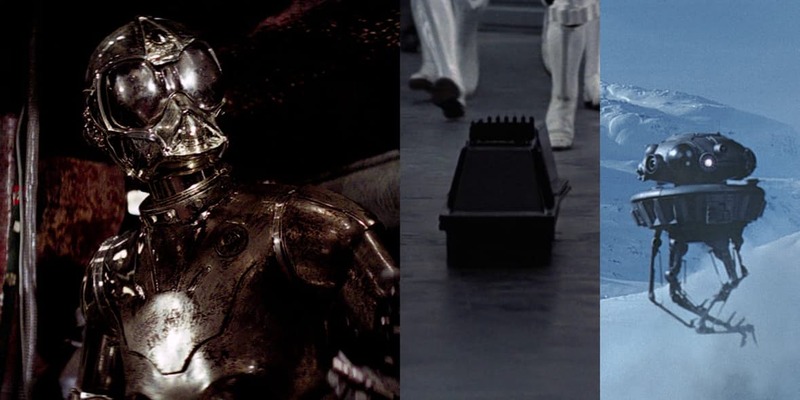 On the topic of noteworthy droids, there’s also a couple of other fun appearances from classic designs; a probe droid is floating around Jedha City and a Mouse Droid is seen in the Scarif base, once again scampering about with a squad of troopers. Reymus Antilles has had a very long life in the Star Wars mythos for someone who appeared for mere second in the original movie. Guess that’s what being Darth Vader’s first on-screen kill does for you. 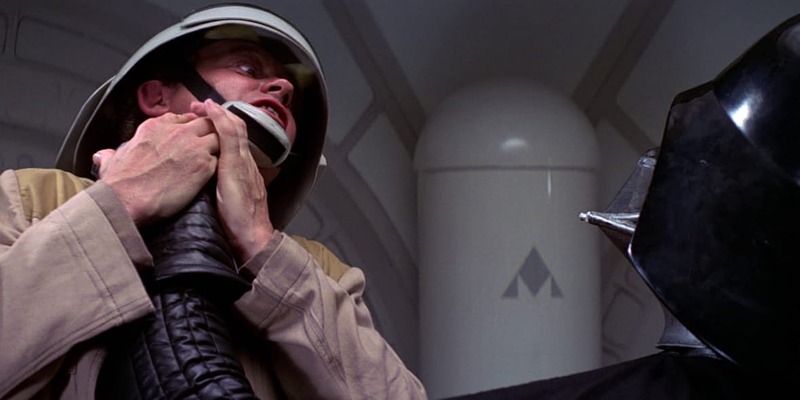 Antilles is, of course, the captain of Tantive IV, strangled by Vader when he refuses to give up the Death Star plans. He’s popped up in all manner of other material since, most prominently a brief cameo in Revenge of the Sith, where he’s given ownership of R2-D2 and C-3PO. He’s not as essential as he could have been in Rogue One – this is the movie where he’s most ripe to make his mark – and takes more of a background presence to some of the others on this list, but he still managed to have two separate appearances. The first comes when Bail Organa leaves Yavin IV for Alderaan – you can hear Jimmy Smitts commanding him to get ready – and then at the very end of the film when the crew has, at the very last minute, managed to escape Vader and secure the plans, giving them to Princess Leia. 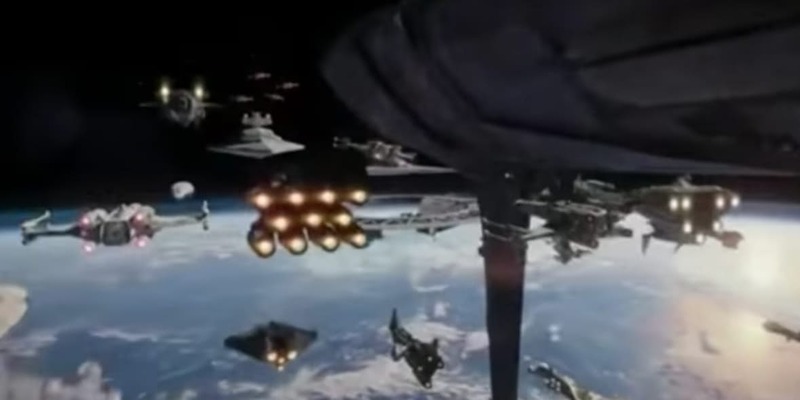 Not every Star Wars cameo has a direct link to the galaxy far, far away. Indeed, The Force Awakens was full of famous names, from Simon Pegg as Unkarr Plutt to Daniel Craig as a Stormtrooper, and Rogue One continues the tradition. 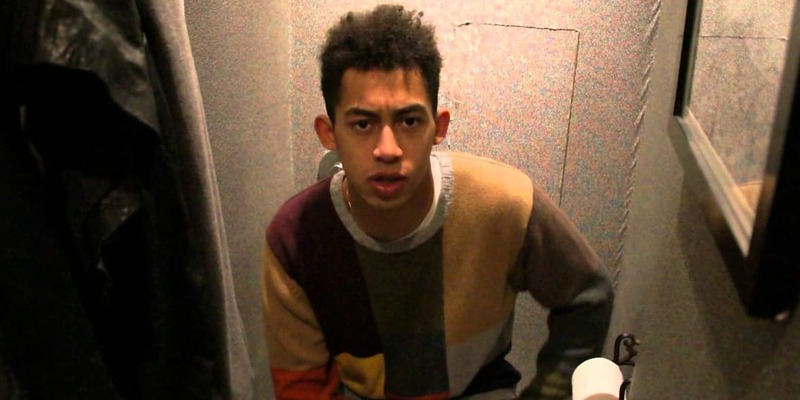 One of the most “what, wait, is that really…?” cases is an extended cameo from Rizzle Kicks singer Jordan Stephens, who plays one of the rebel soldiers who helps Bodhi Rook in trying to get an outside transmission to the orbiting Rebel fleet on Scarif. It’s unclear how the part came about (presumably Stephens is a big fan of Star Wars), but it’ll probably be elaborated on once more behind-the-scenes details on the film come out. The artist wasn’t the only notable name to appear in the film. Simon Farnaby, best known for his work on Horrible Histories and Yonderland, play Blue Five, one of the ill-fated members of the Alliance’s third X-Wing squadron.